TME’s offer has been expanded by brand new AF series contactors from ABB, created with an innovative approach to designing devices of this kind. The coils of the contactors tolerate both direct and alternating voltage. A broad power voltage range covers the majority of the common values in various electroenergetic systems. The contactors may be powered from mains in virtually any country throughout the world. The AF series contactors have compact enclosures. Additionally, they feature surge suppression, various types of cable connectors, and ensure high resistance to momentary power drops or overvoltage. What is more, the amount of power used by the new contactor coils has been reduced to 80%. AF series contactors along with an extensive range of handy accessories that facilitate their use form a complete product. They are suitable for the most demanding applications in the industry and construction sectors, as well as in applications where reliability and precision is a crucial factor. 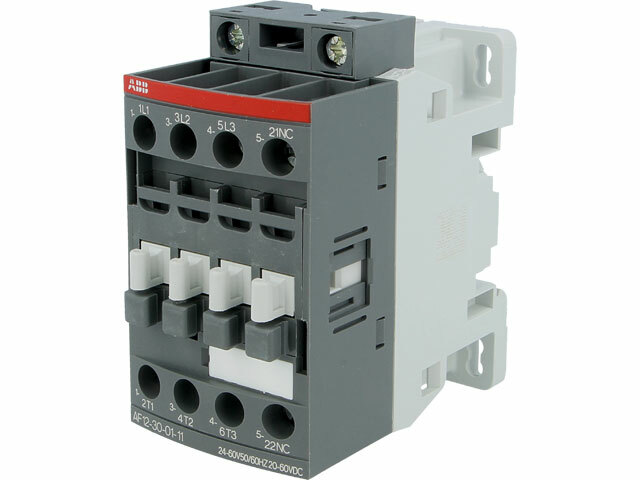 Check the full offer of 3-pole AF contactors from ABB.